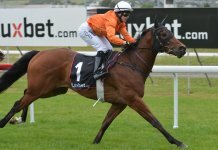 Tomwaterhouse.com.au is the online bookmaking enterprise of Thomas “Tom” Waterhouse (TW), son of infamous on-course bookmaker Robert “Robbie” Waterhouse and leading Sydney horse trainer Gai Waterhouse. The operation came about after Tom was asked by his father to help out at Rosehill racecourse in 2001, something he absolutely loved doing. He soon began operating as an independent bookmaker in 2003 and by 2008 Tom was Australia’s biggest on-track bookmaker holding massive amounts of cash while accepting very large bets. In 2011 he ventured into the online gambling industry and the TW website was born, however in August 2013 the business was sold for $34 Million to British wagering giant William Hill who has also acquired other Aussie corporate bookmakers Centrebet and Sportingbet in recent times. Under the sale conditions Tom will stay on as managing director till at least 2015 while the vision of new owner William Hill is to continue the expansion of Australian racing and sports betting into the foreign market. TW offers excellent betting odds especially on popular Australian sports like Rugby League and Aussie Rules and is one of the few remaining corporate bookmakers that will accept bets from big punters. Big Punters Are Welcome ~ TW has been known to accept large bets and provide a personalised service for their V.I.P clients. This is easily their most attractive component as it sets them apart from most of the other corporate sportsbooks. Over time (when/if Tom leaves?) the William Hill takeover may or may not impact on their willingness to cater for big bets so you if are a serious punter i suggest testing the waters sooner rather than later. “Take On Tom” Promotion ~ If you are a casual punter then this promotion is definitely worth following. Sure most of the inflated odds on offer will be on options that are unlikely to win, but they sometimes offer very good odds on something with an excellent winning chance, you just have to be selective with which promotions you choose to bet on. Margin Betting ~ TW offers sensational betting odds on the standard Margin markets for NRL and AFL matches. 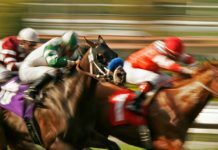 Best Of The Best (BOB) ~ Returning the best of the three totes or the Top Fluc (whichever is higher), BOB is a great option if you enjoy betting on the horses as the Top Fluc will quite often return odds higher than the three national totes. But because of the maximum $50 bet this product is really only useful to casual punters. New Bonus Conditions ~ The new customer bonus is not available to residents of NSW, VIC, SA and WA, eliminating a large chunk of Aussie punters from receiving a joining bonus from TW. Mid Tote Is Behind ~ TW will only payout a dividend equal to the second highest official dividend from the three major national totes for all Win and Place bets on Harness and Greyhound Racing. Plus Mid Tote applies to all Place bets on Thoroughbred racing as well. In comparison there are many other corporate sportsbooks that offer the highest totes on these markets. Promotion Value ~ TW offers less promotions than some of the other corporate sportsbooks, plus some of their promotions contain small bet limits and low maximum bonus amounts. New Customer Bonus ~ TW will match your first bet with a bonus bet equal to your stake by up to $250 (not available to residents from NSW, VIC, SA and WA). 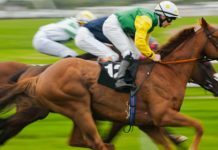 Take On Tom ~ This is a regular promotion where TW offers higher than market odds for particular betting options on selected racing and sporting events. Hence you ‘Take Tom On’ by wagering on the inflated odds on offer. The latest ‘Take On Tom’ markets become available on the website and App every Friday afternoon (conditions may vary with each promotion). Mulit-bet bonuses ~ TW often offers multi-bet bonuses across various sports including AFL, NRL, Soccer and Tennis. The current promotion is a 25% bonus (up to $100) on Wimbledon multi-bets consisting of 4 or more legs. Other Offers ~ TW has new betting promotions regularly becoming available, just check out the website or App for all the the latest offers. 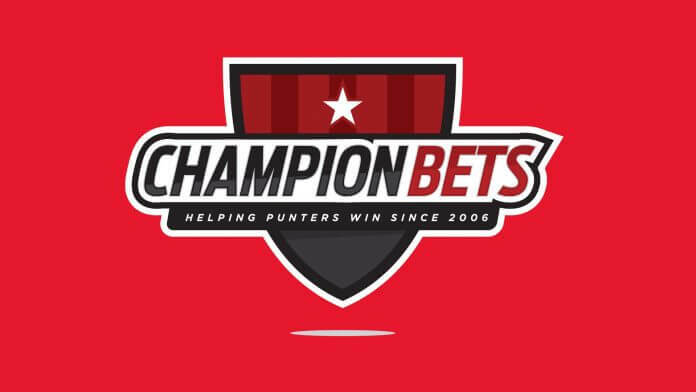 **Bonus Funds Requirements ~ After staking any free bet only the winnings will be credited into your account (not including the stake amount), then those winnings must be turned over once before withdrawing. Tom’s Div (TD) ~ This product guarantees you get paid the highest odds out of the Best Tote or Starting Price (available on all Australian Thoroughbred races). Best Of The Best (BOB) ~ Guarantees you get paid the highest odds out of the Top Fluc or Best Tote (available on selected Thoroughbred races – Maximum $50 per bet). 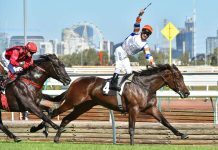 Top Fluc (TF) ~ Guarantees you get paid the highest on-course fluctuation supplied by the Australian Pricing Network during the entire betting period (available on selected Metropolitan Thoroughbred meetings). Middle Tote (Mid Tote) ~ Guarantees you get paid a Win dividend that is equal to the second highest Win dividend from the three major totalizators (available on all Greyhound and Harness Races). First Past The Post ~ If a result is amended following a protest TW will pay out on both the original past the post result and the final official result for all Win and Place bets on Thoroughbred, Harness and Greyhound races. Toms Blog ~ Toms Blog is easily accessed from the website or App and offers many features including; Previews and analysis of all major racing and sporting events, experts tips from the “Baron” (TW’s resident tipster), Toms newsletter, various punting information and more. Black Book ~ TW provides a standard black book service which can be very useful for tracking your favourite horses. The TW website is excellent with the number one feature being the simplicity of navigation, meaning it is extremely easy to find your way around. 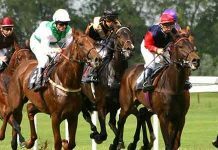 The next few racing and sporting events that are about to start are set out in the middle of the main page with quick-links so you wont a miss a thing while all the important stuff like live betting, results, pending bets, promotions and your bet slip are set up in clear concise boxes on the left and right with your balance clearly stated at the top. You can bring up multiple races from different race meetings on the racing page and although it can be a bit tricky at first it is a very good system once you get used to it. Plus if you have any problems there is a live chat facility as well as a video tour which will guide you around and give you some handy tips. The TW betting Application is basically a mini version of the main website, it has the same layout plus the main menus and buttons are identical which makes it instantly familiar to TW customers. The live chat feature is still available and just like the main site it has a video tour which will show you around if you have any problems. The App is available on iOS and Android devices and overall it is almost impossible to fault. Deposit Options ~ Credit Card, Poli, Skrill, Bank Deposit, Bpay, EFT, Telegraphic Transfer, Cheque Withdrawal Options ~ EFT, Bpay, Telegraphic Transfer, Cheque, Skrill Minimum Deposit ~ $10.00 Minimum Bet ~ $0.01 Maximum Payout ~ There are generally no limits but you should call to place a large bet. Live Betting ~ Live betting is available but due to Australian gambling laws you must call TW on 1800 238 222 to place a live bet. Mobile Betting ~ The TW betting Application is available from the iTunes and Google Play stores for iOS and Android devices.